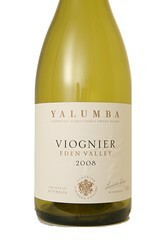 The 2008 vintage has created delicate and aromatic Viognier wines. The colour is pale gold with green highlights, with a nose of pure aromas displaying apricot nectar, lifted honeysuckle and orange oil perfume. The palate is long, rich and luscious, with intense stone fruit - particularly white peach and apricot flavours, finishing with an aromatic citrus freshness. This wine will continue to grow and develop in the bottle, firstly showing enhanced apricots and spice, then after a couple of years, honey flavours and toast.